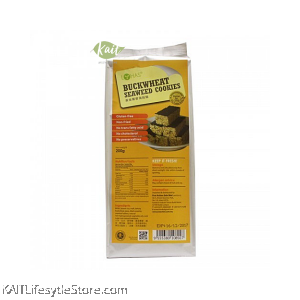 Buckwheat is a powerhouse of protein, vitamins, minerals and antioxidants that are necessary to keep your body energized. Seaweed amazing helth benefits including promoting thyroid health, a rich source of omega-3 fatty acid, promote weight loss, support digestion and more! 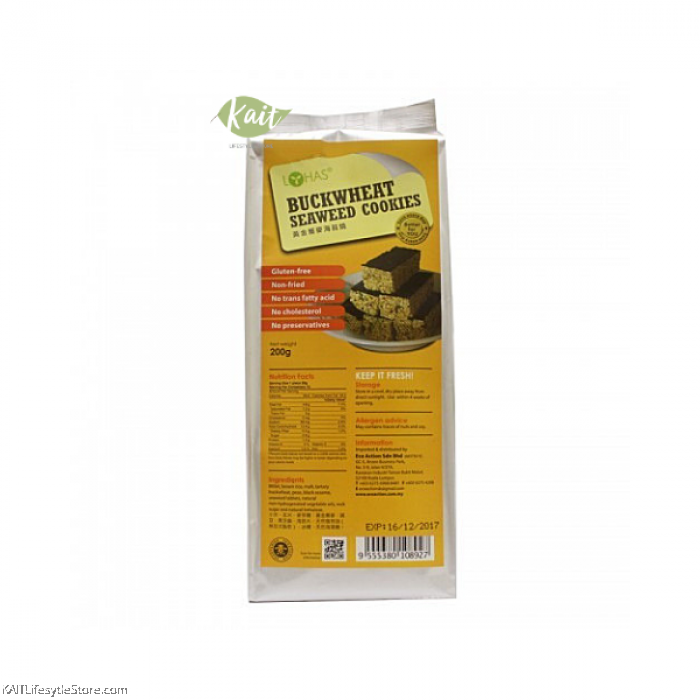 LOHAS Buckwheat Seaweed Cookies provide vitamins, minerals, and protein, all of which are nutritional in value. Millet, brown rice, malt, tartary buckwheat, peas, black sesame, seaweed tablets, natural non-hydrogenated vegetable oils, rock sugar and natural trehalose. In order to keep it fresh, use within 4 weeks of opening.